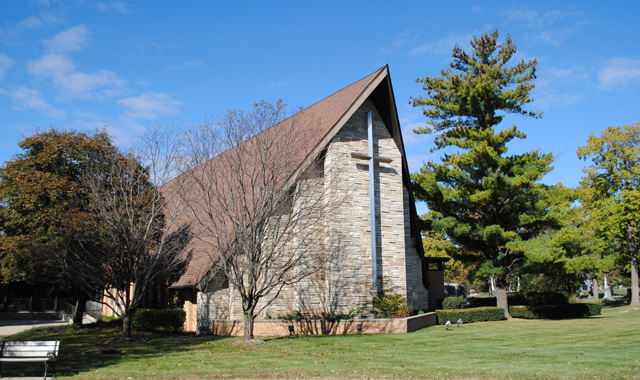 Bethlehem Lutheran Church began in 1852 with a gathering of Swedish immigrants in St. Charles. Creating a place where they could worship in their own language, the first members found a cottage where they could host visiting Swedish clergymen. In 1853, the group began traveling to the Geneva Lutheran Church, where it would worship for the next 30 years until it established a permanent home as the Swedish Evangelical Bethlehem Lutheran Church of the Augustana Synod. Sermons were exclusively in Swedish until 1919. During the early 1900s, the congregation quickly grew under the leadership of the Rev. J. Mellander. Membership swelled from 825 people in 1932 to more than 1,100 in 1950. In search of a larger home, the church began construction on a new building in the late 1950s on a 5-acre parcel that the Norris family and Col. Edward Baker donated. The social hall was dedicated to the Rev. J. David Ekstrom in 1965. Holmer House, once used as a parsonage, was named after the Rev. Arthur Holmer at his retirement in 1985. 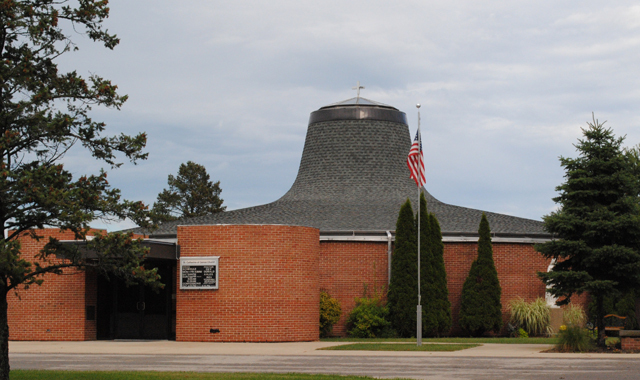 The church dedicated its expanded sanctuary on May 17, 1992, and celebrated its 125th anniversary in 2007. Today, Bethlehem’s 2,400 members are engaged in many activities, from volunteer programs and social clubs to youth education and outreach. The Rev. Mark Larson, senior pastor, and the Rev. Sarah Rohde, associate pastor, lead worship, with traditional services occuring Saturdays at 5:30 p.m. and on Sundays at 8 a.m. and 10:30 a.m.; a non-traditional praise service occurs Sundays at 9:15 a.m. This entry was posted on Wednesday, November 25th, 2015 at 11:59 am	and is filed under Mind & Spirit. You can follow any responses to this entry through the RSS 2.0 feed. Both comments and pings are currently closed.